It’s been a wild Q4 for 2018. Cryptocurrency markets have been down. The US government was shut down. Regardless, the Storm team has been working hard to improve the lives of people around the world. With a volatile cryptocurrency industry and not knowing when markets will come back up, the company of Storm has focused on keeping costs low and ensuring we are able to continue building for the long run. It took longer than we expected. We spent a lot of time working with Apple to execute our cryptocurrency and rewarded survey tasks model. Their team was very cooperative and helped us launch our app on the App Store. 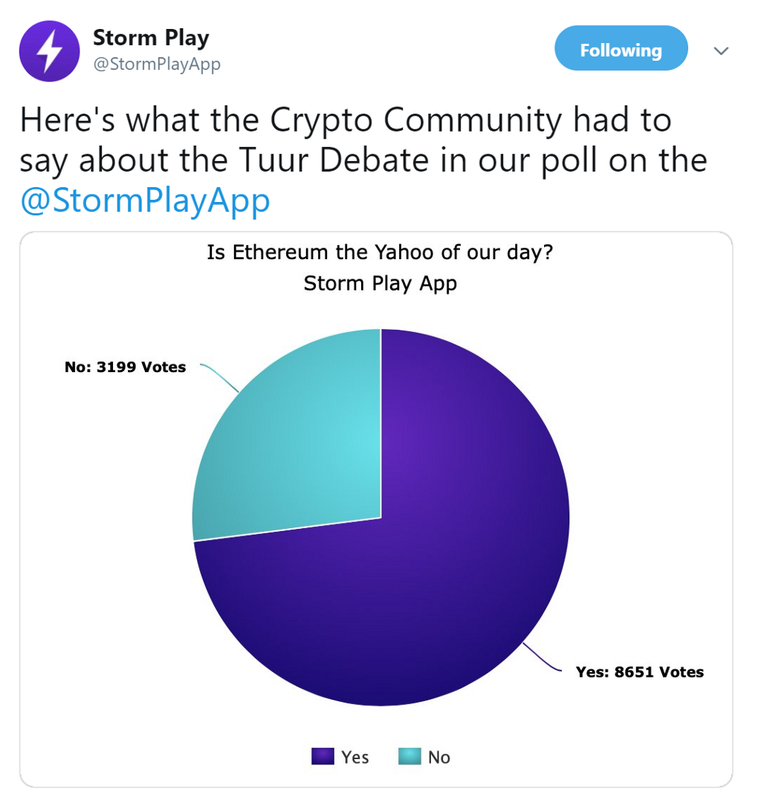 We spent the greater half of 2018 rebuilding the backend infrastructure of the Storm Play app which reduces the number of broken links and significantly decreased the application load time (43 seconds versus 300 milli-seconds. Building using the React Native platform allows us to streamline both iOS and Android development in the front end and allows us to build only one application to be used across operating systems (iOS and Android). Being able to build on a single platform greatly reduced development costs significantly. Referrals are back! 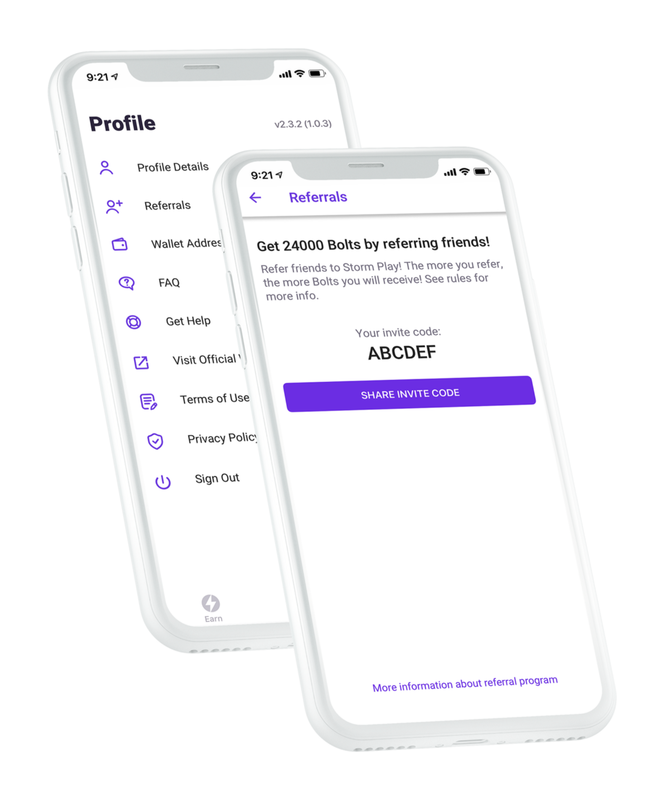 You can now refer your friends and family to try Storm Play and earn even more of your favorite cryptocurrency rewards. In Q4 we added surveys as another type of task users can earn from. 798,996 survey tasks have been completed since the launch of the new feature in Q4. The survey data will help collect useful information while allowing users to earn in a fun and easy way. Responses from Tuur Deemeester’s criticism of Ethereum.